Give them a holiday gift basket they will always remember. 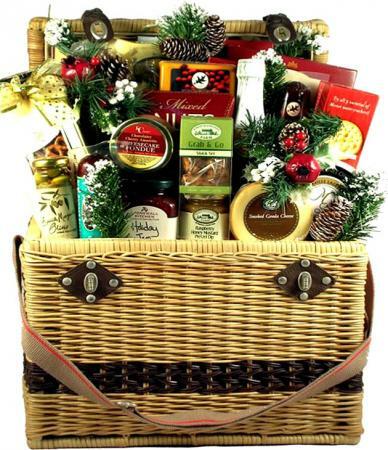 Send this deluxe picnic holiday gift basket for Christmas. No other gift will create as much talk! Cause a big stir this New Year with this very large picnic hamper with lid, leather strap and brass latch, filled with one of our finest collection of gifts to date. No other gift will create as much talk! 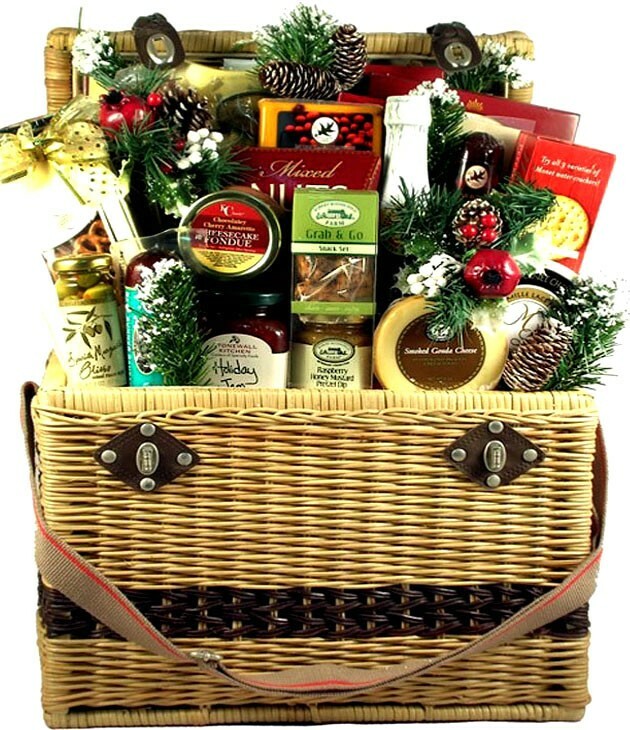 View more gift baskets and gifts!